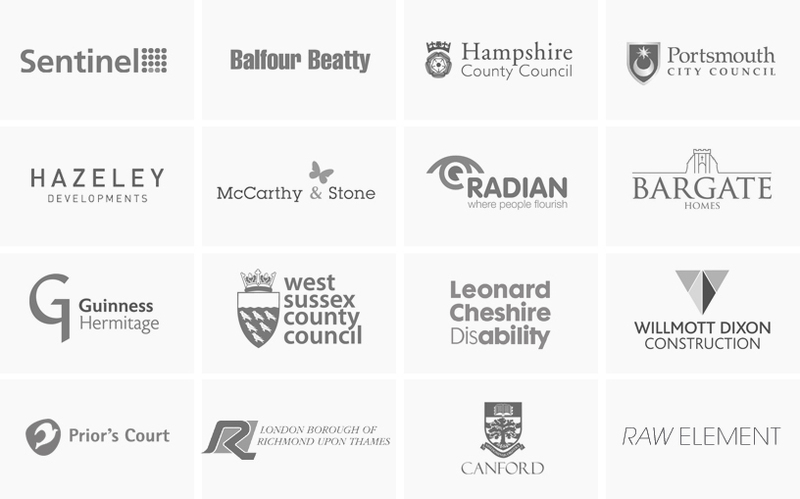 Our wide variety of clients is important to us and the range of sectors and projects they offer to us has enabled us to build a portfolio of work of which we are proud. We work equally well with both public and private sector clients, adapting to their particular needs. Clients in the public sector include local authorities and registered providers across the south of England and we often work for these clients under framework, or term, appointments. We also work directly with education establishments, both publicly and privately funded, with universities and with large national contractors. Our residential clients include developers and house builders of varying scale as well as private domestic clients, care home providers and specialist residential care providers. We also work with churches, commercial clients and charities. Our graphics and media team works with a range of private companies as well as publicly funded organisations such as the Association of Chief Police Officers and Hampshire County Council.